When Albertans went to the polls in 2015, parents had every right to be worried. During the years of unprecedented growth, hundreds of new schools had been promised to fix Alberta’s crumbling education infrastructure. Only a fraction were ever built. Instead, school fees kept rising, along with the cost of everything else. When global oil prices began dropping, certain politicians started telling Albertans to look in the mirror. They tabled a budget that would add 12,000 new students to schools without a penny for new teachers. Rachel Notley stood up and promised “stable, predictable funding” for education. The commitment to one of the largest infrastructure initiatives in Alberta history required a change of priorities. 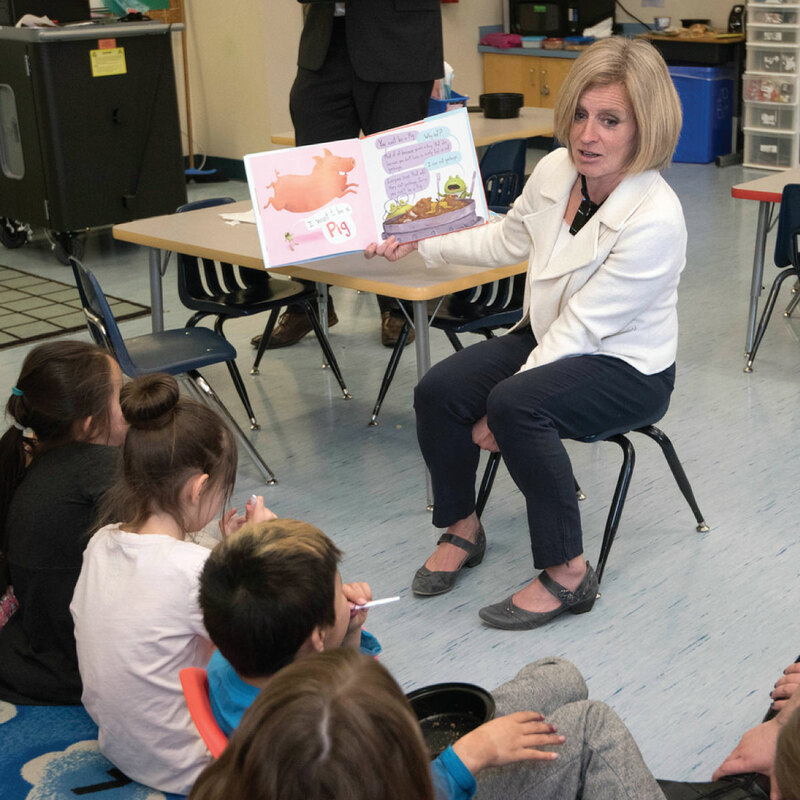 While global oil prices continued to tumble, Notley continued to build schools and hire teachers, taking advantage of low construction costs while putting Albertans to work. As the economy has begun to stabilize, Alberta has 244 new and modernized school projects to catch up on years of previous growth. And Alberta has 4,000 more teachers than they would have had under a Conservative hiring freeze. By this June, more than 125,000 new and modernized spaces are expected to be complete. These Alberta students will have brand new learning spaces or major renovations to existing schools to ensure their education keeps pace. Notley says the schools provide opportunities to discover and explore their interests using state-of-the-art technology. As election talk ramps up in coming weeks, Notley expects parents to be worried once more. Once again, Notley says she will fight for “stable, predictable funding,” a clear choice for Alberta parents. With an eye to the election, Jason Kenney has backed down from earlier suggestions of 20 per cent budget cuts across the board. The UCP leader has returned to Conservative form with plans to freeze spending. He hasn’t explained how he’ll pay for a return to the flat tax, a tax break that would benefit Albertans making more than $300,000. Despite what Kenney suggests, Alberta schools will have to find room for an additional 15,000 students this fall. Notley says that Kenney is soft-selling a cut as a freeze. Four thousand teachers isn’t a rounding error, Notley says, pointing to her track record of standing up against Conservative cuts.